We hear the term often, “Rebel without a cause,” but in this case, Oklahoma native Casper McWade brings new meaning and a new twist to it, as he is on a music mission and it is his cause. Despite his leather jacket, Harley and tough exterior, McWade has the heart of a gentle bear and a passion for making authentic country music. Born in Seminole, McWade still lives close to his roots, at Little. He grew up with his grandparents and was exposed to gospel music in church at a young age, but that was only the beginning. In the Bible Belt, it is common that a music artist cuts his teeth on gospel tunes. But, with a grandmother who wrote music, McWade had another platform and perspective to build from. Judging from McWade’s style of music, it’s evident that he was heavily influenced by these great artists, especially Waylon. He began to write music as a youngster and has never looked back. One might wonder if there is a process in shifting from simply writing to performing. For McWade, he recalled singing along with all his favorite artists and practicing vocal control. He learned how to make his voice do what he wanted. 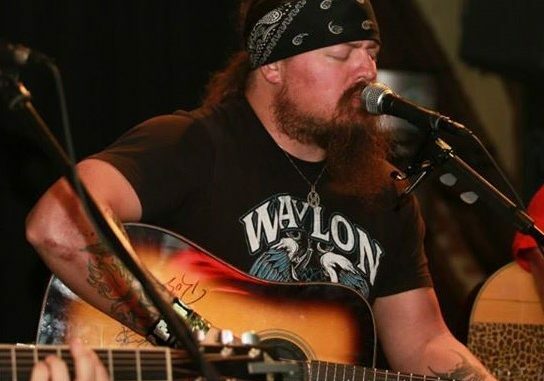 McWade has released four albums so far, with his newest title, Hello Lonesome, released in November 2018. Read more about Casper McWade in the April issue of Oklahoma Farm & Ranch.